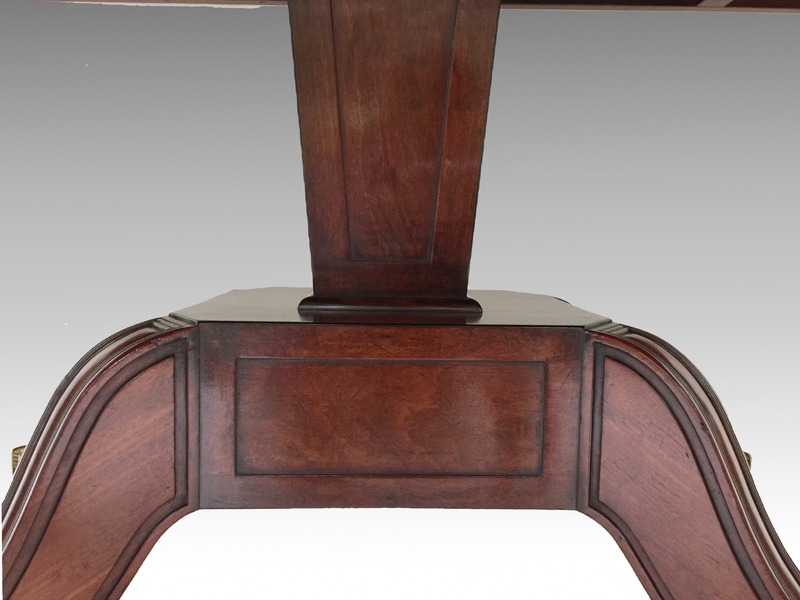 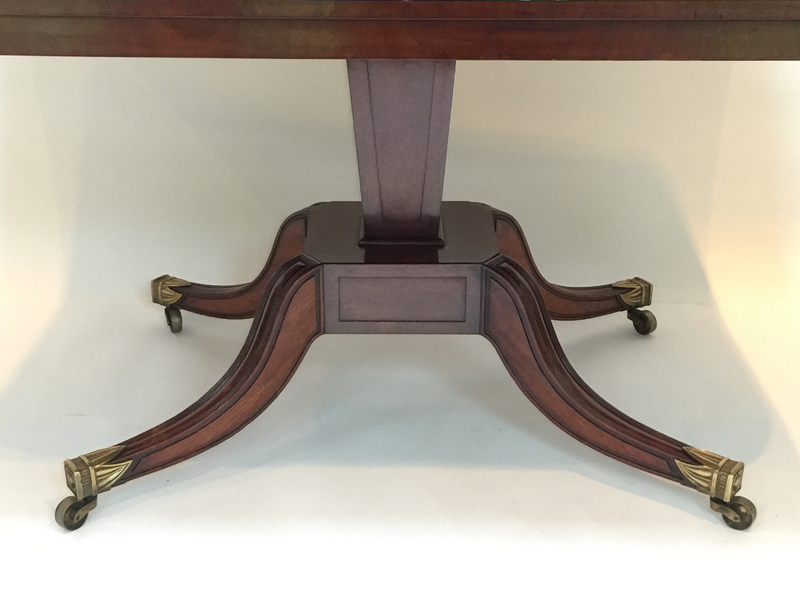 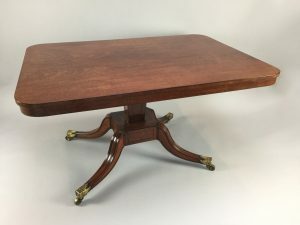 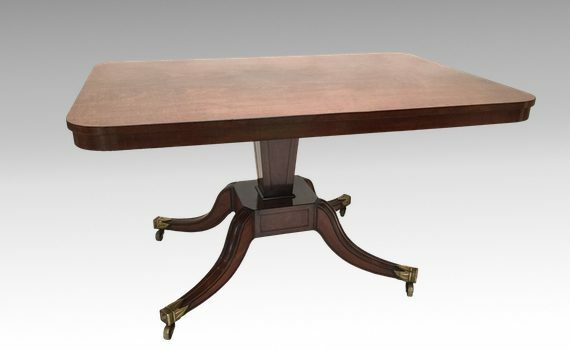 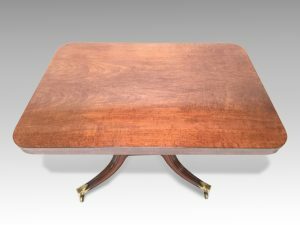 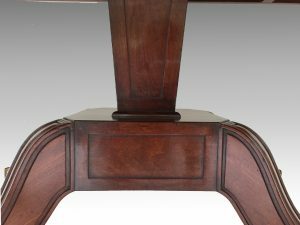 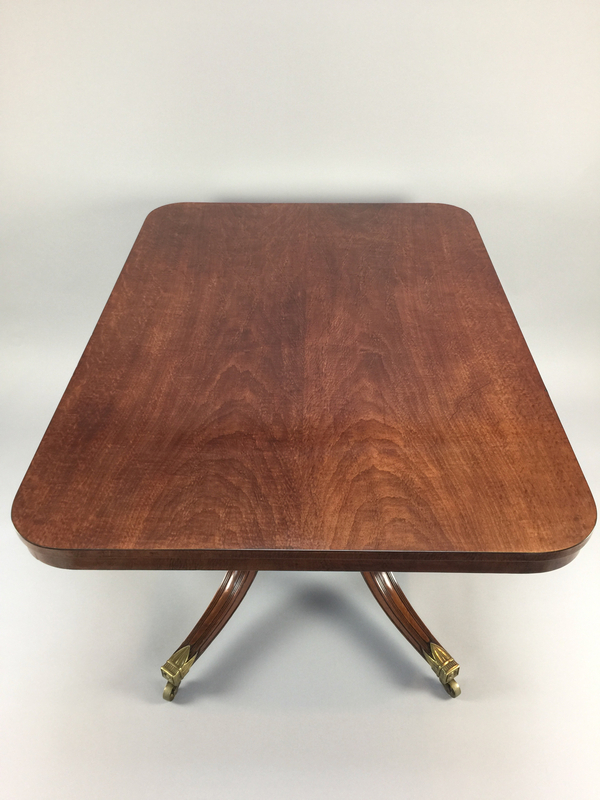 A late George III mahogany breakfast/centre table of the finest quality and condition. 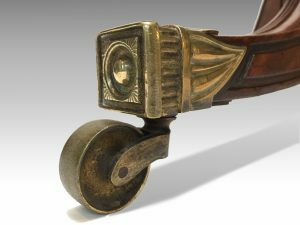 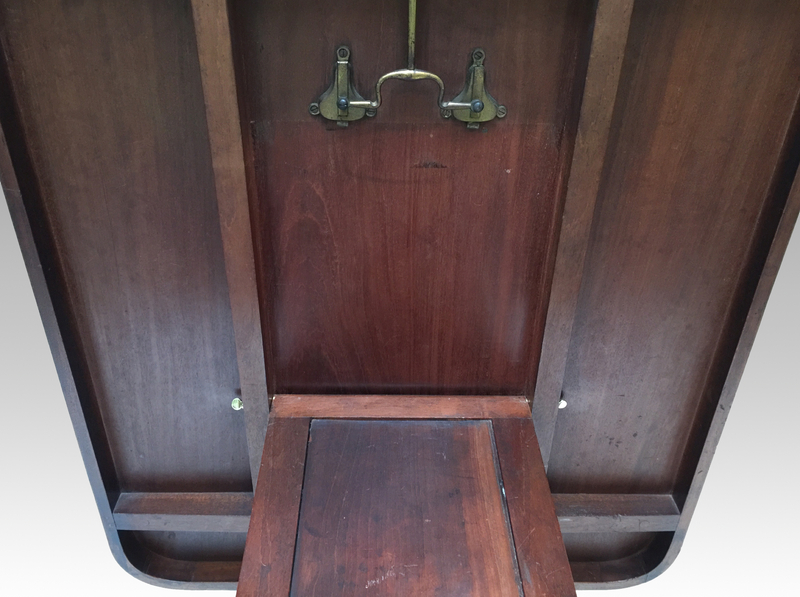 The rectangular tilt-top veneered with extremely fine and rich mottled roe book matched mahogany, above an inverted tapered column with panelled sides, standing on a platform base issuing four moulded swept legs ending in brass caps and castors. 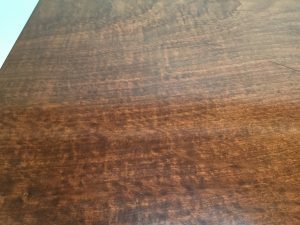 The whole enriched with fine ebony lines.